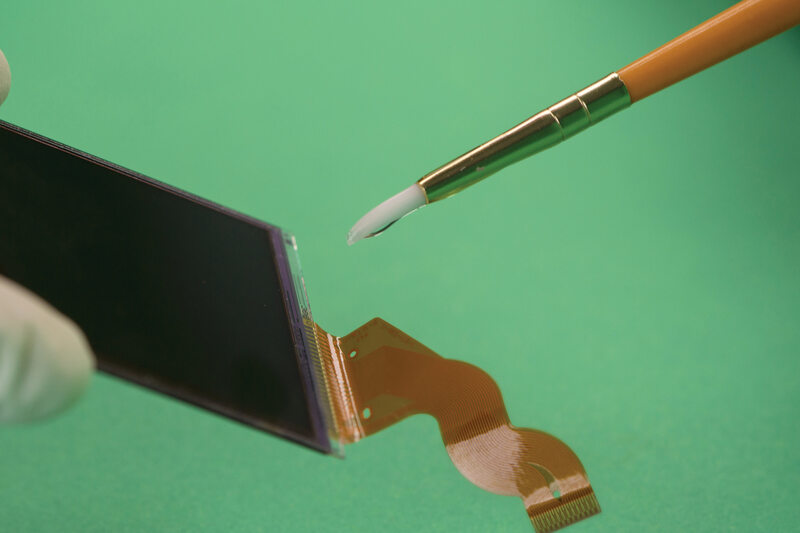 Master Bond UV10TK40M is a higher viscosity, one part UV system for bonding, sealing and coating with good optical clarity, excellent physical properties and a high glass transition temperature (Tg) of 135-140°C. UV10TK40M cures readily in 20-30 seconds when exposed to a UV light source emitting at a wavelength of 320-365 nm with 20-40 milliwatts per cm². The rate of cure depends upon the distance from the light source, the thickness of the section and the intensity of the light source. The system can cure in sections up to 1/4 inch thick. However, when bonding, sections of a few thousandths of an inch are more than adequate. Master Bond UV10TK40M is not oxygen inhibited and therefore does not require any special treatment in that regard. It bonds well to glass, surface treated metals and plastics such as polycarbonates and acrylics, among others. Its chemical resistance is particularly good as it resists water, oils, acids, bases and solvents well. It is also an effective sealing and coating material. The system does not contain any solvents or diluents and none are released during cure. UV10TK40M combines low shrinkage with exceptional dimensional stability. UV10TK40M is an outstanding electrical insulator with a temperature range of -60°F to +450°F. It is effectively used for high production applications where fast fixture times and rapid curing are critical. UV10TK40M is best used in fiber-optic, optical, opto-electronic and electronic industries where high temperature resistance and higher viscosity are needed. UV10TK40M is available is various sizes and units to accommodate customer's needs.